We consult with customers to design and develop custom, effective training solutions. Together, we create experiences that ensure a learner retains information and recalls it when they need it. We expertly apply our systems-design process to integrate emerging learning theory with state-of-the-art technology and graphic arts. This means we can create engaging systems and materials that effectively address our clients’ unique learning, performance, and communications needs. Our training and communications products have earned numerous national and international awards for innovation and high quality. We work closely and consultatively with our customers, to get their people and their teams ready to thrive. We developed transportation-related anti-terrorism awareness training for the Department of Homeland Security. Challenge: The Department of Homeland Security’s First Observer Program was established to leverage the skills and experiences of America's transportation professionals to help protect the infrastructure that moves goods and services and people across the country. The First Observer Plus™ Program was intended to build on that work and, specifically, to provide training for these transportation professionals to help them recognize suspicious activity, to guide them in assessing what they see, and to provide a channel to report their observations. But the training had yet to be developed. Approach: Our team developed and produced fourteen First Observer Plus™ training videos, the necessary corresponding training curricula, and a corresponding curriculum-based training course with accompanying student and instructor training manuals, all supported by the training videos. Additionally, we developed a dynamic, client-approved Program Management Plan that integrated all First Observer Plus™ program management support activities, including developing and maintaining a program/project schedule, tracking cost and performance metrics, reporting such metrics to TSA, and developing and implementing continuous improvement processes. Impact: These trainings have been used hundreds of times in online and classroom settings of anywhere from three to more than 125 people. Today, thousands of transportation professionals are better prepared to spot, assess and report suspected terror-related activity. We created award-winning training on the U.S. Army’s substance abuse program, ensuring that Soldiers struggling with addiction can get the help they need. Challenge: The U.S. Army Center for Substance Abuse Programs provides proactive and responsive services to the Army’s workforce on alcohol and other drug abuse deterrence, prevention, education, and rehabilitation. They needed training for use with multiple audiences that could increase the awareness and the use of these critical services. Approach: Windwalker created (and today maintains) a novel, award-winning, state-of-the-art, computer-based multimedia training program for multiple audiences within the U.S. Army. Working with our subcontractor Prevention Research Institute (PRI) who provided content, we designed, developed and delivered both classroom and computer-based trainings that can be deployed across a variety of technical platforms. The trainings address multiple levels of learning, such as: practical, task-oriented, skill-based learning; interactive learning; emotional engagement; scenario-based gaming; and affective learning and behavior change. These scalable learning solutions are organized for maximum portability to various environments and audiences. We used video, animations, interactions, environments and cultural references that are specific to an Army audience, in a visual style that was tailored to appeal to the target audience. Impact: Many of our products, though initially designed for Soldiers in a deployed theater of operation, are now being used in conventional offices, as well as in Army Reserve as well as Army National Guard environments. This means more Army Soldiers have more access to these critical substance abuse help resources than ever envisioned. We developed a training program specifically for the men and women protecting 21,000 miles of track, 529 stations and more than 31.2 million rail passengers. Challenge: The ever-present threat of a terrorist attack requires Amtrak’s constant vigilance to maintain a secure environment while safeguarding its employees, passengers, and operations. Amtrak wanted to develop a comprehensive implementation strategy for its security training to empower its personnel to prepare for, respond to, and recover from any emergency. Approach: We reviewed Amtrak’s existing plan and prioritized their training activities according to their plan and to regulatory requirements. We then cross-referenced recommended training activities for employees and departments, by function. Then, we developed an implementation recommendation, including recommendations on how to develop and rollout the training. We also developed a training activities schedule and tracking mechanism. Results: At the end of the project, Amtrak had a refined set of training recommendations for each personnel type within each of its departments. This meant Amtrak could deploy resources strategically and effectively, and to needs with the greatest urgency. We trained Amtrak employees to spot and report terrorist reconnaissance activity. Challenge: The Amtrak police department launched a strategic risk communications and security awareness campaign to focus the attention of front-line Amtrak employees on their critical role in protecting passengers and infrastructure from a terrorist attack. They needed a partner to develop effective, motivating and empowering training content for its employees. Windwalker was up to the challenge. Approach: We designed and developed a first-person, real-world scenario-based video simulation for employees. It covered station surveillance and potential threats related to suspicious persons and suspicious packages, including active shooters, on-board suspicious behaviors, and on-board bombers. We worked closely with Amtrak to develop the training content. Our graphic design team created the interface, based on the schedule board at Philadelphia’s 30th Street Station, and added other interactive graphical elements to contribute to the experiential fidelity for the learner. We incorporated gamification elements, allowing users to select scenarios and enabling the content to adapt at certain decision points in the training. Our instructional designers also developed classroom materials to accompany the training and we converted the program into a three-module web-based training. Impact: Amtrak is currently using these trainings in the security component of their New Hire and Refresher Block Training. We’re also currently designing and developing three new simulations for other employee groups: mechanical, engineers, and office personnel, further strengthening Amtrak’s security resilience and position. We helped Amtrak train first responders for train-related emergencies in their communities. Challenge: Amtrak’s Regional Emergency Managers (REMs), located in eleven different regions across the nation, are often asked to provide emergency response training to local fire departments and other emergency first responders. This training is intended to address the specific, unique challenges faced in responding to passenger train emergencies. Amtrak needed to standardize and formalize this Passenger Train Emergency Response (PTER) training to ensure the delivery of professionally developed, consistent, efficient, and relevant information to local and state first responders nationwide. Approach: There were two parts to the approach: developing the training program itself, and designing the instruction for the REMs deliver it, even as access to computers and to the Internet varies from location to location. We worked closely with the Amtrak REMs to review the existing instructional materials, identify a core curriculum, and then define the unique factors within each region that need to be addressed in the training. We also designed instructional materials that can be used in any learning environment by creating a PTER course that that may be implemented in a variety of delivery modes. Results: There were two parts to the approach: developing the training program itself, and designing the instruction for the REMs deliver it, even as access to computers and to the Internet varies from location to location. We worked closely with the Amtrak REMs to review the existing instructional materials, identify a core curriculum, and then define the unique factors within each region that need to be addressed in the training. We also designed instructional materials that can be used in any learning environment by creating a PTER course that that may be implemented in a variety of delivery modes. We trained the entire U.S. Postal Inspection Service on a new web-based information system. Challenge: The U.S. Postal Service Inspection Service is the federal law enforcement, crime prevention, and security arm of the Postal Service. It needed to replace its Inspection Service Data Base Information System (ISDBIS) with a system created for all its stakeholders that leveraged new and emerging technologies. They contracted with Windwalker to develop system-related training content, and to conduct trainings across its entire workforce. Approach: Windwalker personnel worked directly with USPIS staff on-site. We conducted a Subject Matter Expert (SME) meeting facilitated by Windwalker instructional designers. These meetings involved agents in the field working collaboratively to review current materials, and working with the designers to develop targeted areas of training. Together, we analyzed, designed, and developed effective, compelling, experience-based training solutions. Impact: Resulting from the success of our initial engagement, we have continued to design and develop training for several user groups within the Inspection Service. To date, we have updated or developed more than 50 USPIS courses – both for classroom and online settings. The United States Postal Service chose Windwalker to develop employee engagement content for its more than 50,000 employees. Challenge: The United States Postal Service has more than 50,000 supervisors and managers across the country. To ensure these employees are engaged and delivering the best possible experience for customers, the Postal Service needed to create compelling online training content. Approach: Windwalker developed a four-module training program as part of the Postal Service’s Postal Pulse Engagement Program. As part of the training, supervisors and managers learned how to integrate a focus on engagement into their work unit management activities. Working closely with USPS subject matter experts and utilizing existing client materials, Windwalker created four modules using Adobe Captivate. The course featured an audio narrator to guide the user through an explanation of engagement and how it can affect an individual as well as the entire organization. Impact: Each Windwalker-developed module concluded with a brief knowledge-check designed to refresh the user on the information they just learned. This gave the Postal Service a quantifiable measure of the trainings’ effectiveness, the result of which was very positive. Professionals today work from anywhere; they should be able to learn from anywhere too. Our eLearning solutions leverage cutting-edge design, multi-media, visualization and gamification strategies and technologies with incredible results. We design and produce award-winning learning programs and products. These products create experiences for learners – they don’t feel like typical “trainings.” They embed research findings and key principles related to learning retention, generational learning, and instructional design for classroom, team-based, and self-instruction. We also create learning magazines, learning simulations, serious gaming, video based scenarios, virtual worlds, and other computer-based approaches. Our instructional design teams work hand-in-hand with cutting edge developers, programmers, and the best in video, audio, animation, and graphic arts production to create compelling, effective learning products. We help promote access to medical care throughout the U.S. Air Force community. Challenge: The U.S. Airforce Medical Support Agency (AFMSA) knew that increased access to health care would positively impact the health of Air Force patients as well as readiness of the entire force. Additionally, it would reduce overall costs and improve patient satisfaction. As such, access to care (ATC) was, and still is, a clear and critical priority for the agency. AFSMA contracted with Windwalker to create trainings and performance analysis across a variety of ATC domains, such as appointing, referral, appointment information systems, appointment telephony, call-center management, customer service, and more. Approach: Windwalker worked with AFSMA staff to provide functional level training on how to improve ATC. The training was provided through regional, national, and international seminars, as well as via hands-on trainings at the AFSMA Medical Education and Training Campus in San Antonio, TX. We also assessed life-cycle management, modeling, analysis, and access management across the enterprise. We then made recommendations on the development, implementation and sustainment of superior ATC services. We focused on repeatable processes, opportunities for improvement, and developing a structured approach to optimizing ATC. Impact: Now, many of our programmatic recommendations have been implemented, and ATC is increasing, as desired. We prepared the 70,000-person Department of Interior workforce with trainings on the No Fear Act, Equal Employment Opportunity, and Diversity and Inclusion. Challenge: The Department of Interior (DOI) has nearly 70,000 employees at 2,700 locations. Its workforce includes everyone from park rangers to scientists; maintenance mechanics to surveyors; mining specialists to policy analysts. Every one of these employees is required by federal law to complete training every two years on the Notification and Federal Employee Antidiscrimination and Retaliation Act (No FEAR Act) Act, as well as on Equal Employment Opportunity, and Diversity and Inclusion. Approach: We worked with the DOI to develop No FEAR Act training as a first-person, real-time interactive video simulation. The goal was to create training that provided experiential fidelity to their jobs in a simulated environment. The use of a first-person perspective meant that the learner functions actively as a character in the simulation, rather than a passive witness. Other characters interact directly with the learner and respond to the learner’s choices. All action derives from the learner’s decisions. Impact: This approach gave employees an opportunity to practice decision-makingin different simulated situations and to learn how to address antidiscrimination and whistleblowing issues. Not only did this fulfill the Department’s biannual training requirements on the No FEAR Act, it satisfied supervisors’ and managers’ mandatory annual EEO and Diversity training, saving these critical employees’ valuable time. We’re the team that helps provide critical law enforcement training to agents within 90 federal agencies. Challenge: The Federal Law Enforcement Training Center (FLETC) provides interagency law enforcement training to 90 federal agencies via massive physical training facilities in New Mexico, South Carolina and Maryland. However, in a budget-constrained environment, FLETC must continue its important work via more electronic learning and web-based trainings. Approach: FLETC chose Windwalker to provide training development for ten web-based training courses to be delivered through the FLETC electronic learning portal. We began the project with content design meetings, diving into content, subject matter and technical requirements. Our instructional designers created storyboards for each course. Our programmers began building prototypes for the courses. Our production staff compiled the content and multimedia assets to begin building each of the courses. We employed smoothly running animations and avatars; crisp, clear Graphical User Interfaces (GUIs) and presentation graphics; and functionality within required security and performance standards. Impact: Today, FLETC has sleek, compelling, effective trainings and can make the best use of its limited resources – without at all sacrificing on its critical law enforcement mission. We helped the Department of Education teach people how to use its statistics. Challenge: The Department of Education’s National Center for Education Statistics (NCES) is responsible for collecting, analyzing and distributing education-related data. This data is used for policy development at the state and federal levels; it informs research and programming; and it is widely cited in the media and academia. NCES survey datasets are complex and require training for proper use. In a budget-constrained environment, NCES sought to reformat its survey-specific, classroom-based training seminars into computer-based training (CBT) modules. Approach: NCES chose Windwalker, as a subcontractor to Manhattan Strategy Group (MSG), to design and produce common and survey-specific dataset CBT modules. These five to 80-minute modules replicated five of the largest existing training seminar programs, and added a new component of training in fundamental concepts and skills that are common across all NCES surveys. We also created a portal to house the modules, and integrated the system with each survey site of the main NCES website. Impact: The modules we created have afforded NCES with resource efficiency and have made the training related to its complex datasets available to larger audiences in education and policy. NCES intends to build on the current effort by creating additional modules and channels, compounding the effect of our work. We make the federal “first-on-scene” emergency response policy clear and understood across Amtrak. Challenge: The Incident Command System (ICS) is a Federal Emergency Management Agency (FEMA) approach designed to standardize communication and activity during emergencies. Sometimes called a “first-on-scene” structure, it simply means that following an incident, the first emergency responder on the scene has charge of the scene until: 1) the incident has been resolved; 2) a more qualified responder arrives and receives command; or 3) the Incident Commander appoints another Incident Commander. Following train-related incidents, it’s important that all Amtrak personnel are aware of this policy. FEMA has a general, three-hour training on this policy that is not designed for train-specific events. Amtrak hired Windwalker to develop an hour-long training for its workforce and to train all 20,000 Amtrak employees across 46 states on this policy. Approach: We worked with Amtrak subject matter experts to identify the most critical content from the FEMA training and adapt it for Amtrak scenarios. Then, we developed a computer-based training course that could be facilitated in the classroom by instructors, made available via CD to learners without internet access, and placed in Amtrak’s online learning management system for use at any time. We also placed links to three other FEMA courses on the Amtrak intranet so that additional details of the policy are available to employees who want them. Impact: In times of emergency, knowing where to turn is critical. This crucial, first-on-scene policy is now widely known and understood across the Amtrak workforce. We helped Amtrak identify, manage and protect sensitive security information. Challenge: A terrorist attack on America’s rail system is ever present security concern. As such, Amtrak dedicates considerable time and energy to protect its people and passengers. However, on a daily basis, a large number of Amtrak personnel work on documents and files that contain critical and sensitive security information (SSI). In the wrong hands, this information could help individuals who are intent on causing harm. Amtrak needed to develop and administer an employee training program on how to handle SSI. It needed to be accessible via multiple means and via multiple deployment methodologies. Approach: Windwalker revamped the existing Transportation Security Administration’s (TSA) SSI Training for Rail Stakeholders course into a customized, computer-based training course on Amtrak railroad-related SSI. To do it, we worked across twelve Amtrak corporate departments to identify and catalog their SSI. We worked with our customer to define an SSI program structure, and to outline SSI review and handling processes. We then developed curriculum that created experiential fidelity for learners, and advised Amtrak on deployment. We also provided specialized training for designated SSI Program Managers. Impact: As a result of our partnership, Amtrak not only had a well-trained workforce, they had an entire SSI program and assessment, and were better prepared to protect this information going forward. 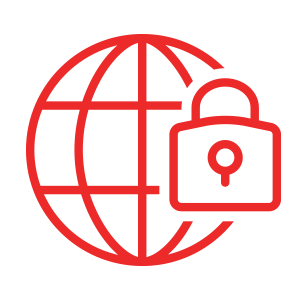 Our experienced professionals work diligently with customers to protect their employees, intellectual property and infrastructure from cyber-related threats, and to proactively manage cyber risk. Our comprehensive cybersecurity services include risk assessment, incident response, training and compliance. Taken together, this full suite of cyber-related services helps get our customers ready to respond to an attack, and prepares them to avoid one. Our team leverages years of cybersecurity experience protecting employees, intellectual property and cyber infastructure. Additionally, the Windwalker team of cyber consultants are committed to providing customers with innovative and cost-effective solutions to managing cyber risk. We also constantly sharpen our craft and stay up-to-date on the development of new hacking techniques and cybersecurity trends. We safeguard the IT systems behind transportation operations. Challenge: In addition to the thousands of miles of roads, public transit, aeronautics, and transportation licensing and registration the Department of Transportation oversees, they also manage critical information systems and devices in the Commonwealth of Massachusetts. They needed an assessment of their information security program to ensure it met the proper security standards and best practices. They chose Windwalker to help. Approach: We assessed their program against the NIST 800-53 rev. 4 standard and recommended improvements aligned with the organization’s appetite for risk. We underpinned the entire engagement with metrics to measure the effectiveness of our recommended remediation. We provided thorough security evaluations of the IT and business environments, including in-depth analysis of administrative, technical, and physical safeguards. We performed a technical vulnerability diagnosis and assessment, largely based on the output of MassDOT recent security investments rather than on a new, additional, and redundant assessment. We also did a security network architecture review and an operating system hardening review. Additionally, we performed a gap analysis comparing MassDOT’s current security practices and posture with other industry best practices. Impact: At the end of the engagement, we provided a comprehensive assessment document and a prioritized list of identified security threats, vulnerabilities, or potential vulnerabilities. Today, MassDOT and its systems are more secure and more prepared for threats. We protect a valuable sales channel for a growing business. Challenge: Subaru of New England wanted to perform a penetration test of externally facing network resources – namely its website, a critical sales channel for the company. The goal of the assessment was to determine if there were vulnerabilities that an attacker could enumerate and leverage to compromise the confidentiality or integrity of online assets- and they needed a partner to do it. Approach: We used a combination of industry-standard and tailored techniques to identify vulnerabilities in the network and systems. Developed by our engineers, this approach was designed to reveal the weaknesses in the network, while simultaneously revealing the outcomes of successful exploitation. This methodology closely mirrors the procedures and techniques used by attackers, providing the customer with an attacker-level perspective on how the network could be compromised. Impact: At the end of the project, our expertise in IT systems vulnerability analysis and remediation, revealed nearly 150 different hosts exposed, and four domain names hosting web applications. We also provided a risk mitigation strategy for the customer that would help improve the overall security stance of the network into the future. We help municipalities prepare and protect against cyberattacks. Challenge: Located 15 miles south of Boston, the Town of Randolph, Massachusetts had various networked information systems in place to support its fire and police departments, the town’s parks and recreation department, its public works department and its housing authority. The town manager of this 32,000-person community wanted to ensure that these systems were secure – especially since many of them have public-facing components that are accessible via the Internet. Some even access and update town-maintained databases that contain highly sensitive information. Approach: We performed a comprehensive computer systems and networks vulnerability analysis via automated and manual penetration testing and employee phishing testing. We were responsible for performing security testing to proactively discover flaws, weaknesses and vulnerabilities in the town’s computer systems and networks. By providing details on successful attack scenarios and specific remediation guidance, our intent was to help Randolph protect its critical networks, data, and software. Impact: Overall, we found that Randolph had a relatively secure posture both internally and externally. We did find, however, several vulnerabilities, and made remedial recommendations. Today, Randolph, and the town’s services that support the men, women and families who live there, are more secure than ever. We offer world-class physical security support and services, from risk assessments to armed guard services. We understand the multiple layers of interdependent systems required for effective physical security programs. These layers include CCTV surveillance, security guards, protective barriers, locks, access control protocols, and many other techniques. Unauthorized access to facilities, equipment or resources represents a critical business threat. Going a step further, protecting personnel and property from damage or harm (such as espionage, theft, or terrorist attacks), is a central priority for every modern organization. You want and need an experienced team to help. Customers trust us because that’s exactly what we are. We helped get downtown Boston ready for growth. Challenge: From major developments and expansion, The Boston Convention and Exhibition Center was preparing to accommodate more visitors than ever. So, the Boston Redevelopment Authority Board approved a plan to create two more new hotels nearby. Ensuring the hotels, and by extension the hotels’ guests, were safe and secure became a top priority. Approach: Suffolk Construction Company, builder of the two new hotels, chose Windwalker to provide security hardware installation which included IP-based surveillance systems and door monitoring security hardware. In the early stages of the project, we provided shop drawings and product data packages to Suffolk Construction, showing them the electrical characteristics and connection requirements of each portion of the security hardware to be installed. We worked closely and collaboratively throughout the process to install equipment and ensure the integrity and readiness of the systems at the time of the completion of construction. Impact: Today, guests of the newly built Aloft and Element hotels are kept safe, and operators of both properties have peace of mind. This project became the foundation of a number of additional projects with the Suffolk team. We provide 24/7/365 armed-guard services at a major federal facility. Challenge: The Barnes Federal Building in downtown Boston is the daytime home to more than 700 military personnel and more than 100 civilians working in the building. The building functions as Massachusetts’s main Military entrance processing site in addition to having federal credit union and various Department of Defense and governmental offices. Securing the building is a critical priority as this facility is high-profile and designated as critical infrastructure. Approach: Our work encompasses the management of visitors at access control points with a combination of utmost courtesy, decisiveness, and professionalism. Our staff is consistently positive, with a professional appearance and behavior. We adapt to employee turnover with consistent, systematic recruitment, and actively manage and adhere to the quality standards of the workforce and its operations. 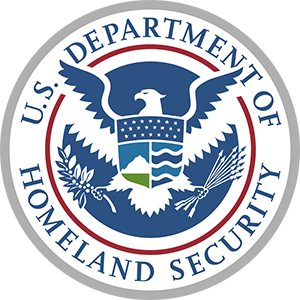 We enforce strict compliance with federal and U.S. Army security standards, and we emphasize interaction with local and state police, and with DHS. We prepare and plan for crises, and conduct regular employee training and drills, often exceeding the baseline requirements of our client. We also conduct manpower planning and reporting, and can be responsive to visitor surge requirements. Additionally, our security guard personnel developed, tested, and implemented an active-shooter response plan. We make sure Boston’s commuter trains are ready to run in an emergency. Challenge: Keolis Commuter Services operates and maintains the Massachusetts Bay Transportation Authority’s (MBTA) commuter rail system, carrying more than 127,000 passengers per day throughout Greater Boston. They needed a plan to ensure their operations would continue in the event of a weather, security or terrorism-related emergency. Approach: Keolis hired Windwalker to plan and develop a comprehensive Continuity of Operations Plan (COOP), both to fulfill contractual requirements set by the MBTA and to increase the general resiliency of its operations. We knew the plan had to include a detailed approach to ensuring the continuous performance of essential Keolis functions; cover the reduction and mitigation of disruptions to operations; enable the minimization of potential loss of life, injury, or property damage following an incident; and facilitate a timely and orderly recovery and resumption of full service to customers. We developed a plan that did exactly that, working in close coordination with our clients and holding ourselves to very high standards throughout the project. The plans written during this initiative laid baseline standards for future exercises, and supported the documentation of many existing emergency procedures. Impact: Our detailed continuity of operations plan was a success. Our process of pre-planning, initiation, identifying essential functions, identifying resources and training, developing the plan in collaboration with the client, and deploying its supporting resources proved to be the right approach to solving this customer challenge. Our expert consultants created lasting relationships with many Keolis personnel, and continue to work together to this day. We build simulations to get teams ready to react and respond in an emergency. Challenge: Keolis Commuter Services operates and maintains the Massachusetts Bay Transportation Authority’s (MBTA) commuter rail system, carrying more than 127,000 passengers per day throughout Greater Boston. They needed to prepare their team for a potential fuel system failure, ensuring they knew what to do and how to be sure the failure did not lead to a disruption in rail service for commuters. Approach: Keolis hired us to design and facilitate a table top exercise (TTX) to plan for a major incident involving an oil spill at a high-risk facility. We provided the roughly 28 employee and contractor participants with a hypothetical scenario: a systems failure and locomotive collision resulting in a spill and fire in an industrial but populated area. The participants included key personnel such as executives and senior management, response personnel, department managers, contractors, and key external stakeholders. This discussion-based TTX facilitated engaging and energetic discussions about challenges posed by the incident, hazards accompanying it, and potential solutions. Impact: The exercise was successful, and Windwalker facilitators received very positive feedback from the event. Thorough our extensive experience with exercise development, emergency management, and planning at both the federal and state levels of government, we were able to provide a challenging and dynamic set of injects leading to the identification and documentation of areas of improvement. The exercise fostered productive and actionable dialogue, and participants frequently stated that the exercise allowed them to learn the extent of the agency’s capabilities. We bring teams together to prepare and plan for all types of emergencies for train-related emergencies in their communities. Challenge: Keolis Commuter Services operates and maintains the Massachusetts Bay Transportation Authority’s (MBTA) commuter rail system, carrying more than 127,000 passengers per day throughout Greater Boston. Not surprisingly, given this location, planning for snow and snow-related emergencies is critical. Approach: Keolis Commuter Services hired us to design and facilitate two separate Snow Emergency Planning tabletop exercises and a larger functional exercise. These exercises brought together Keolis leadership and key departments to finalize strategies, build decision support planning tools and processes, as well as to coordinate planning efforts related to snow emergency incidents. The exercises provided Keolis managers and key personnel with an opportunity to introduce and validate the Snow Emergency Plan that drive incident response from an operations level. Participants were also given the opportunity to exercise and improve communications during incident response through a real-world scenario using actual incident command communication channels. Results: The snow-planning exercises afforded the opportunity to educate critical Keolis stakeholders and provided a forum for discussing various issues facing Keolis during a snow emergency. Additionally, the exercises allowed Keolis as an organization to solidify its incident response protocols around snow-related emergencies. We identify and assess security risks, so management can invest wisely in solutions. Challenge: As a high-profile political organization, housed in an aging facility in a moderate-crime area in Cambridge, MA, UUSC knew they faced security and safety challenges. Executive leadership needed a comprehensive assessment of physical security risk, and a prioritized report to invest wisely in security measures. Approach: The UUSC hired Windwalker to conduct a comprehensive risk assessment of their facilities and to conduct safety training for employees that addressed local and international travel. Through an assessment approach utilizing Department of Homeland Security guidelines and industry best practices, Windwalker consultants evaluated the UUSC facility form the property, building, and office perimeters known as a “concentric circle approach.” The assessment included an evaluation of current facility security levels, hazard and threat identification, and it also identified measures to improve and optimize the facility for safety and security. Recommended security measures were ranked in order of priority, where they could have the most impact for the amount invested. Many recommendations were at little-to-no cost, and through our assessment, UUSC was undoubtedly better informed about how to optimize their workplace for safety. We contribute to the secure and welcoming nature of Washington Navy Yard; because you can be both. Challenge: NAVSEA required friendly and professional staff to support the daily operations of its Visitor Control Center Building on the Washington Navy Yard. Approach: The Windwalker team provided two full-time and one part-time Visitor Control Technician (VCT) on-site, Monday through Friday. These VCTs used access control systems to issue internal proximity badges and to code Common Access Cards (CAC) badges, which permit access into all controlled NAVSEA buildings and spaces located on the Washington Navy Yard. The VCTs monitor the operation of badging equipment and notify the Team Lead of any problems. They also check the Joint Personnel Adjudication System (JPAS) to verify an individual’s clearance level prior to authorizing access when coding a CAC or issuing a proximity visitor badge. VCTs code all CACs and after the vetting process is completed, which authorizes access into specific areas, they manage all badge supplies needed for the daily operation of the Visitor Control Center. The VCT team lead generates monthly reports on visitor badge issuance. Monthly reporting is critical to ensuring the integrity of building access and ensuring Windwalker service delivery is to the highest quality standards. We ensure that defenders of human rights can operate securely. Challenge: The Institute for Justice & Democracy in Haiti (IJDH) works with the people of Haiti in their non-violent struggle for the consolidation of constitutional democracy, justice, and human rights by distributing objective and accurate information on human rights conditions in Haiti and abroad. Its Haiti-based partner, the Bureau des Avocats Internationaux (BAI), in Port-au-Prince, has helped human rights violations victims, trained Haitian lawyers and spoken out on justice issues since 1995. They asked us to perform a security risk assessment for the organization. Approach: We approached the work in two phases: pre-planning and the assessment itself. In the pre-planning phase, we conceptualized and developed the desired project scope, and met in person with the customer and developed the internal strategy to complete the project objectives and requirements. We then developed milestones and deliverable dates, identifying major risks and contingencies. In the assessment phase, we utilized a concentric circle, risk assessment protocol similar to that used by the United States Secret Service to protect the President and other dignitaries. Threats were assessed from an outside-in perspective, with the outermost circle representing an organization’s property perimeter, and the innermost circle representing the human resource and core technology of the organization. Each perimeter assessment was conducted to analyze management, technology, and human resource factors. Impact: Our recommended security remediations are in place currently, and the BAI office remains open to the public. People in need of their services can feel safe bringing their concerns forward, despite the political and civil unrest that constantly threatens the organization. We help organizations meet a variety of business objectives – from call center support, to case management, to military medical readiness, to IT services, or staffing. If it involves responding to a mission-critical challenge quickly and with agility, we can help. We take pride in working with customers to develop and deliver an effective solution to their evolving needs. We view ourselves as a partner to our customers and, together, we find a way to confront the challenges and opportunities that come their way. We create podcasts that help NASA teams understand one another. Challenge: NASA’s Office of Human Capital Management wanted to find new, effective and engaging ways for supervisors to learn without having to read through documents that were dozens and dozens of pages in length. Windwalker proposed the idea of podcasts, and a pilot project was born. Approach: We started with a simple goal: To generate content that included perspectives from supervisors and employees on the same subjects in order to find a middle ground in understanding one another. The podcast involved ten participants ranging from hosts, editors, interviewees and subject matter experts. The entire process took roughly four weeks from start to finish. One week to plan topics, another to conduct interviews and write scripts, a third to record and edit, and a final week to enhance and fine tune with sounds and music. Impact: The podcasts turned otherwise ordinary, workplace topics into narratives and relatable stories. The customer reported an enthusiastic response to them internally and was delighted with their effect. We help military healthcare providers connect with patients. Challenge: Hanscom Air Force Base in Bedford, Massachusetts is home to more than 10,000 airmen, National Guard, civilian employees and contractors. Its medical team, the 66th Medical Squadron, needed contractor support to schedule appointments in its Composite Health Care System (CHCS) for primary, specialty and sub-specialty medical care. Approach: They hired us to schedule appointments requested by patients and their families, and to call patients to schedule and reschedule appointments within the various specialty clinics on-base. This included consults and referrals to civilian facilities. The team also enters telephone consults into an internal system for provider access. All of this support requires knowledge of the systems and the facilities available to patients, the ability to find required information when it is not readily available, as well as a warm and helpful disposition. Impact: Today, our team members are earning positive reviews from the customer and from patients, and we expect the partnership to continue to benefit the base populace, providers and their patients. We modernized NASA’s employee portal. Challenge: NASA’s Human Capital Information Environment Web Portal is the preferred home page for all NASA employees and contractors. But it wasn’t working for them. It was too dense with content, and too difficult to navigate. They hired us to update it. Approach: As a subcontractor to LMI Government Consulting, we met with the customer to understand their needs so we could make the best possible recommendations for a streamlined portal experience. Then, we got to work. We reorganized the content and methods of presenting content, which meant a more intuitive and interactive user experience for users. Our graphic designers created a universal branding for all icons within the web portal. Our developers made sure pages loaded quickly. Our designers created a style guide and other programming templates for developers to follow to optimize the portal’s performance. We also trained NASA staff on how to move content from their existing portal to the new portal solution. Results: At present, the portal provides concise, effective orientation to new hires. It’s a central location for NASA-related news and information. It looks good and performs as it should. And our customer is very happy. We supported a completely virtual summit for NASA executives. Challenge: After President Obama issued an Executive Order directing agencies to reduce travel expenditures, NASA hosted its first-ever Virtual Executive Summit (VES). Looking to continue to cut costs without sacrificing participation and engagement, NASA began planning its second VES with a keen attention to mobile development and user experience. That’s where Windwalker came into the picture. Approach: As a subcontractor to LMI Government Consulting, our work focused on: user experience and interface design; the incorporation of gamification elements like printable achievements that could be unlocked through exploration and competition; creating videos to help executives use the site; creating and maintaining responsive design for mobile use and access; and modifying and creating graphics for various ads, banners, etc. Throughout the project, we worked closely with NASA staff and contractors to advise them on how to create a more engaging and effective site. Our graphic designers created a universal branding for the event – including a logo and icons on the website. We also assisted with the organization and presentation of content to create a more intuitive and interactive user experience for users. Results: Virtual summits like this one save agencies money and drive higher participation. Good design does both, and compounds the effect. We delivered great design to a very happy customer. We make sure wounded Soldiers are medically treated in the manner they deserve. Challenge: The Massachusetts Army National Guard required crucial medical case management support. They needed a partner to help ensure that medically non-deployable Soldiers got the proper care based on accurate and up-to-date information about their treatment. They also needed to understand the medical readiness of their Soldiers individually through comprehensive reporting mechanisms. We knew we could help. Approach: Windwalker delivered complete, accurate, real-time reports that provided the Guard with the information they needed. We provided rigorous monitoring and reporting, and our team guided each wounded Soldier through every step of the Guard’s Medical Management Processing System (MMPS). This included identifying the duty-limiting condition, determining the Medical Retention Decision Point (MRDP), which results in either the Soldier returning to medically ready status or adjudication. Impact: Today, the Guard has the information they need to assess the medical readiness of its Army Guard Soldiers. The Windwalker team’s attention to detail, to quality performance, and to the Soldiers as individuals helped make the project successful. We help develop effective drone operations programs. Challenge: The Massachusetts Department of Transportation (MassDOT) Aeronautics Division wanted to develop a drone operations program. They needed an advisory partner with executive-level experience in aviation, management, government and military leadership, and knowledge of the frameworks used by the Federal Aviation Authority (FAA) and the U.S. Department of Defense to govern drone program operations. The Windwalker team brought all of this and more to the table. Approach: Working closely with our customer, we focused on three core areas. The first, master drone incorporation strategy, involves the consideration of key aspects like policy, procedures, training, legal requirements, etc. Our consultants utilized senior-level experience to offer industry perspectives and direction while adding cybersecurity considerations as well. The second element of our approach involves providing an analysis of counter-drone technology alternatives. We provided oversight and direction while, again, adding cybersecurity considerations for ground-based drone detection and drone interdiction. Third, we coordinated with the Massachusetts FAA Unmanned Aircraft System (UAS) Test Range to support an analysis of how to improve the performance of the range, taking into consideration a multitude of factors such as organizational structure, engagement activities, niche focus area(s), and funding sources (possible multi-agency teaming). Impact: Today, our staff supports MassDOT in developing its strategy for incorporating long-range UAS into state operations. We engage with industry partners in discovery efforts for technology transfer and implementation, and with FAA test ranges in Massachusetts and New York to discover growth opportunities. We collaborate with academia and industry to develop programs that incentivize UAS industry growth in Massachusetts, and that highlight aviation cybersecurity efforts. We also support MassDOT on a variety of stakeholder engagement initiatives, industry research and outreach designed to meet the Commonwealth’s UAS growth objectives. We regularly and consistently engage with executive leadership in industry and government to advocate for, grow and support resourcing of key UAS initiatives. Our work in survey management and design, performance measurement and evaluation means our customers have a clearer picture of the opportunities in front of them, and that they’re ready to take them on. Our capabilities in evaluation methodology provide clients with state-of-the-art design, data collection, and analysis expertise. This means, together, we can assess the efficiency and effectiveness of their programs and services. Our evaluation services range from research design and development of data collection instruments to the preparation of reports targeted to both professional and general audiences. We design and carry out evaluation studies in a wide variety of areas, including education, training, social services, and management. We helped measure and assess American high school students’ problem-solving skills. Challenge: The U.S. Department of Education’s Program for International Student Assessment (PISA) is an international assessment of fifteen-year-olds in sixty-five countries conducted every three years. PISA measures how well students apply their knowledge and skills in reading, mathematics and science to problems within a real-life context. The Department needed a partner to adapt the assessment and its materials for U.S. students. That’s where Windwalker came into play. Approach: We were chosen as the prime contractor, and were responsible for adapting the international assessment and materials for students in the U.S., as well as for preparing recruitment and promotional materials for schools and school districts. We were also tasked with obtaining clearance from the U.S. Office of Management and Budget for data collection; recruiting and managing the study's Steering Committee; and cleaning and producing the United States PISA dataset, as well as the U.S. Highlights Reports. Impact: Our work on the 2009 PISA program was a success. We met all client expectations and ensured the U.S.’s participation in the program was well-coordinated. Additionally, the U.S. Department of Education gained a greater awareness of students’ readiness to solve real-world problems. We helped assess the math and science skills of American elementary and middle school students. Challenge: The U.S. Department of Education’s Trends in International Mathematics and Science Study (TIMSS) provides an international assessment of mathematics and science achievement of 4th- and 8th-grade students in 65 countries. The department needed a partner to manage the study and the project overall. They chose Windwalker as the prime contractor. Approach: Windwalker was responsible for the study’s overall management, including monitoring the study's schedule, deliverables, and budget; the development of school recruitment materials; preparation of the Office of Management and Budget forms and clearance package; preparation of materials for training data collectors carrying out the training; responding to the TIMSS curriculum questionnaires; and preparing the U.S. chapter of the TIMSS Curriculum Encyclopedia. Results: The project was completed on-time and on-budget, with very happy client. The U.S. Department of Education had deeper insight into the math and science preparedness of students at critical educational junctures, and could ensure its policies were aligned to best suited the students. We helped the U.S. Department of Education understand the condition of education for Native American and Alaska Native students. 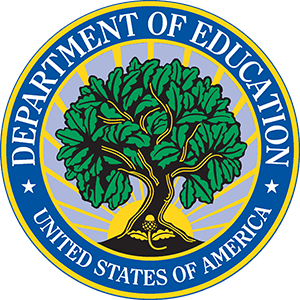 Challenge: The U.S. Department of Education’s National Indian Education Study (NIES) was designed to describe the condition of education for American Indian and Alaska Native students in the United States. The department needed a partner to help them carry out the study. Approach: Windwalker sent letters and study materials and spoke personally with all Indian Education Coordinators and district superintendents before contacting schools to secure study participation. Windwalker then determined a date for the assessment, and laid the groundwork for staff to visit the schools to administer the assessment. We met the National Center for Statistics eighty-five percent required participation rate for both NIES 2007 and NIES 2009. The Windwalker team also participated in field testing by conducting on-site cognitive labs with 4th- and 8th-grade American Indian students, their teachers, and their principals. Solution: At the end of the project, the U.S. Department of Education had a clearer, more comprehensive understanding of the condition of the education afforded to these students, and could make the necessary policy updates in response.